James Gilbert of Morgan Motor Company raises the interesting point that some 90% of Morgan 4 wheel cars that have ever been made are still operating. Thus, sustainability is an important factor in the manufacture of their cars. Ash trees provide the wood from which the 96 shaped timber parts form the frame on which the Morgan is based. More Ash trees are planted by their supplier to renew the stock in Midland forests. You won't see many robots in their Malvern factory either, skilled craftsmen and ladies contribute expertise and experience to the car's production. Many of the workers have enjoyed long periods of service and Morgan have instituted an apprentice training programme to ensure the skills are maintained. 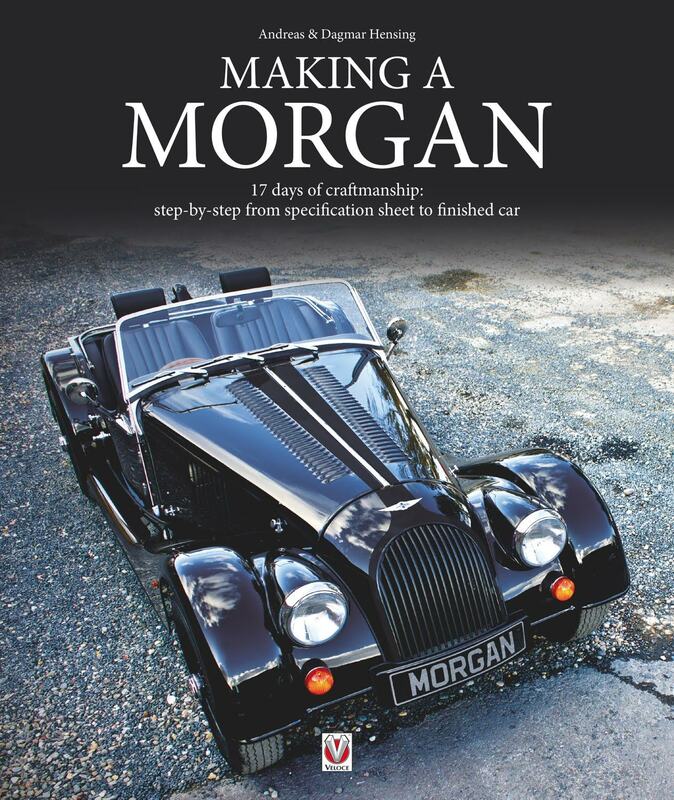 17 days to make a Morgan is a fascinating read by a Morgan enthusiast. We are taken from the paper order sheet to road test and completion. We peer over the shoulders of the craft people and their specialities, from chassis to frame, from sheet metal to assembly, electrics to paint and trim. Even the dashboard has a final finish that wouldn't disgrace a grand piano. Along the way we have interesting vignettes of the worker's background, experience and skills learnt over many years. You don't see mobile phones dotted about either, if a problem does arise the workers talk to each other, help where it is needed and take an immense pride in their section of the car being built. Tucked away in the pages is a history of Morgan Motor Company, a rundown of the models produced over the years, from three wheels to four and back to three and a peek into the future in respect of quality improvement and propulsion. The magic of a Morgan is well summarised. A car for enthusiasts built by enthusiasts, a workforce who are proud of the hand built motor cars that they produce and who have a keen eye to the future of the company. There is a Morgan Motor Museum at the Malvern factory alongside a souvenir shop. Factory tours can also be arranged.